This is the first show of The Works tour. 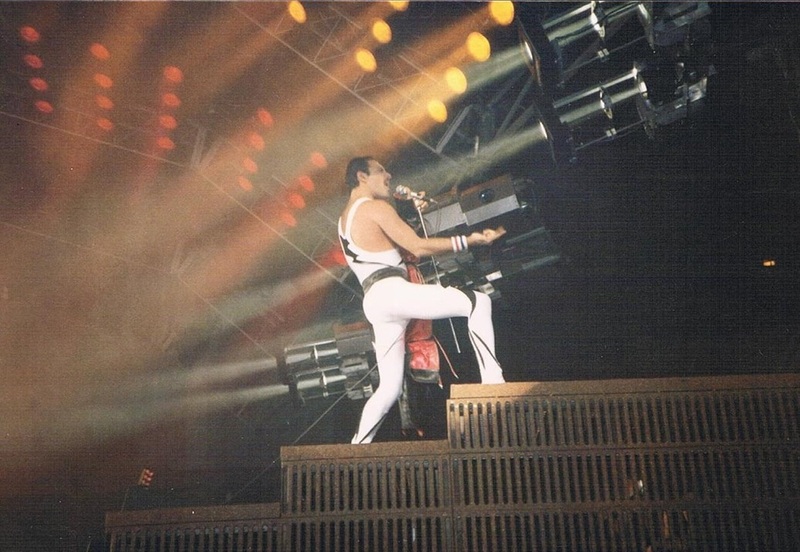 The keyboardist for this tour (and also the '86 Magic tour) is session musician Spike Edney. 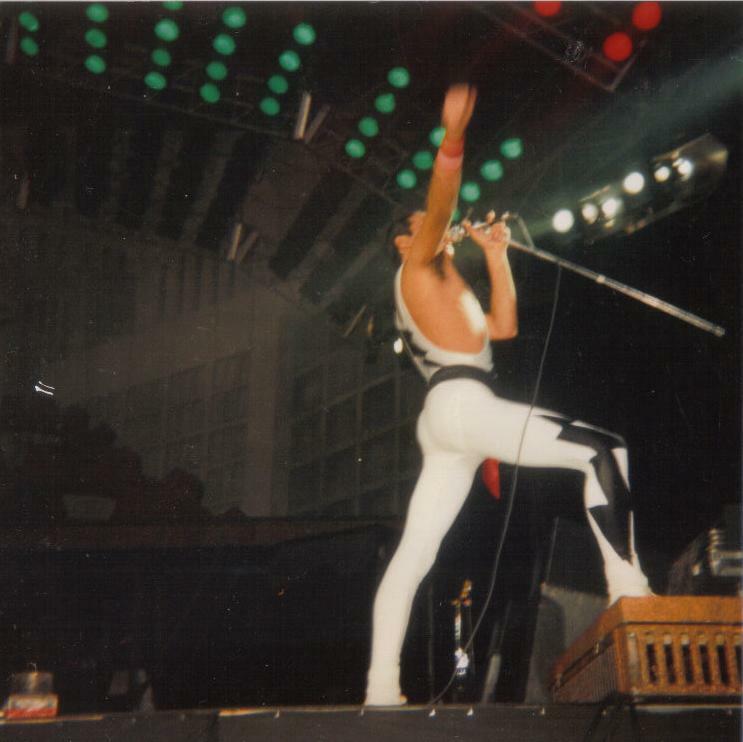 He would also lend some vocals to many songs and play rhythm guitar in Hammer To Fall. He and Roger Taylor would form a band called "The Cross" in 1987 which spawned three albums, and he would return to Queen in the 21st century to play on the tours with Paul Rodgers and Adam Lambert. Spike was recruited in a very informal way by a Queen associate. He went to Munich for their first rehearsal in early August, wound up partying for most of the first night, and missed the first day's rehearsal. It later transpired that everyone else had. He recalls, "The next day, we all managed to get to it eventually, to the first rehearsal, and all the gear was set up. The stage was huge, and I thought "Oh well, here we go then" and we got to the first song , and what I'd forgotten was that they hadn't actually played together for two years. So they said, OK, let's try one of the new songs, I think it was Radio Ga Ga, and we started playing it, and course, I knew it, I'd been studying it for weeks. You know, 1,2,3,4 and we start and we get about a minute into the song and the whole thing collapses. And they all look at each other, you know, very sheepishly, and they say, "Anyone know how it goes?" and I say "well, actually, I know. I know how it goes" and they said "Ah". And so I started showing them the chords and everything and Fred looked at me and said "You don't know the words, do you?" and "Well, yeah I do actually" so then they all came round the piano and we spent the whole day just going through songs, and I thought, "I'm gonna be all right here, this'll be OK"!" The show started very late, as the band were still doing soundcheck when they were supposed to go on. Apparently over the previous week there were few occasions when all four band members actually showed up for rehearsal. Many songs (likely those listed above) never made the setlist, and soundcheck was an extensive cramming session, particularly for the older material that they hadn't played in years. 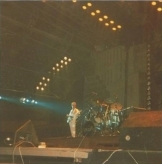 Roger Taylor later reflected that this European tour was one of his favourites, and many fans cite the early Works setlist as their favourite ever played by the band. 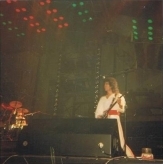 Three medleys are now played, two of which have revived many old songs: Killer Queen, Seven Seas Of Rhye, Keep Yourself Alive, Liar, Stone Cold Crazy and Great King Rat. Staying Power from Hot Space returns to the set, as does Sheer Heart Attack from News Of The World. 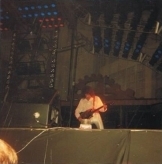 Only half of Staying Power is played, and it runs into Dragon Attack, followed by an improvisation running into a more compact version of Now I'm Here compared to previous tours. 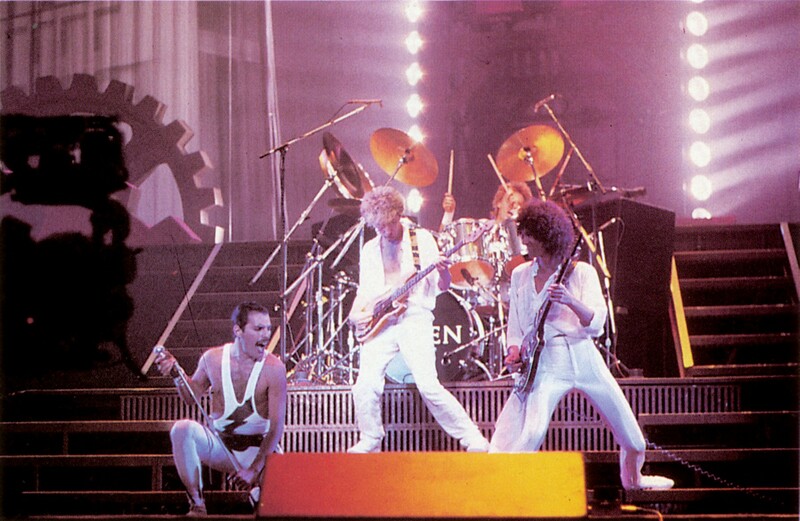 Many people who attended shows on this tour recall Queen having a very heavy sound, especially on songs like Liar and Stone Cold Crazy. 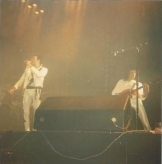 By 1984 they had gained a reputation as being one of the best live rock acts in the business. Six songs from The Works are performed each night, and the introduction tape is from the album track "Machines". 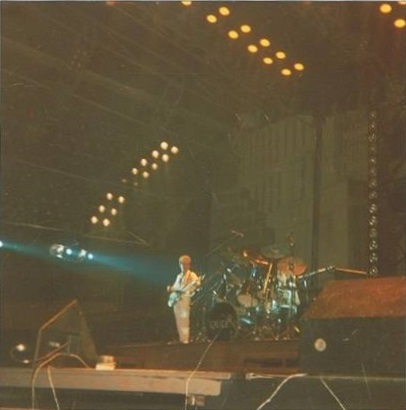 After the heavy G chords are heard on the tape twice, the band walk on stage in the darkness to play the chords the third time, which leads into the brand new "Tear It Up". 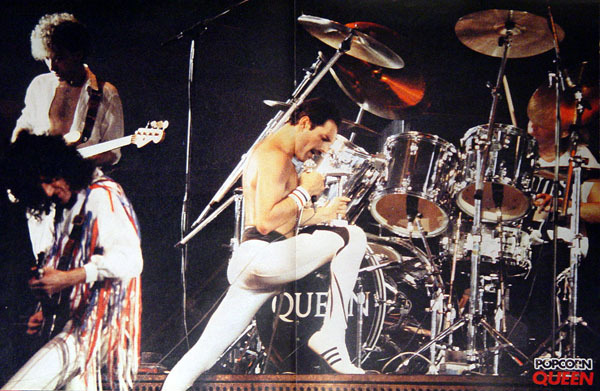 This is yet another effective opening to a Queen show, something they would perfect time and time again. I Want To Break Free is performed each night in 1984-85 as the first encore, with Freddie coming on stage sporting a pair of huge plastic breasts under a pink shirt. Part way through the song, he would remove the breasts and twirl them around for a while before finally throwing them into the audience. Some souvenir! As a result of this gag, Another One Bites The Dust has been moved from the encore to be earlier in the set. 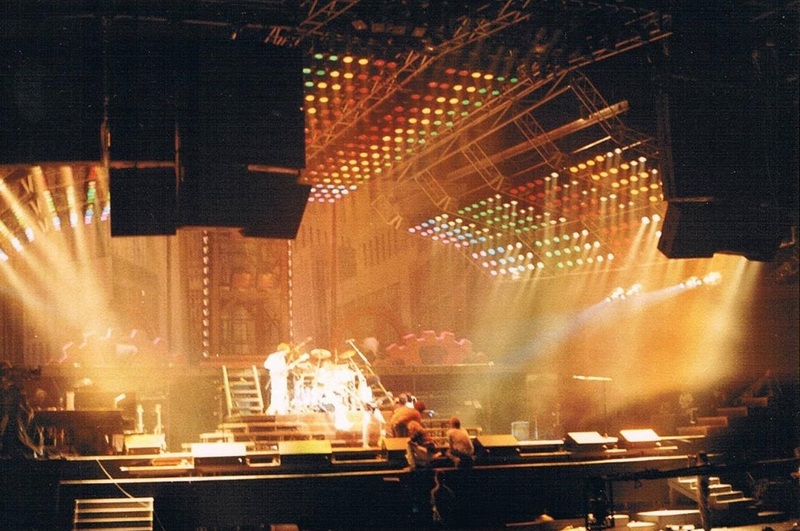 This tour showcases an incredible lighting rig, and huge wheels behind the stage (like the ones on The Works album cover) that rotate during some of the new songs. 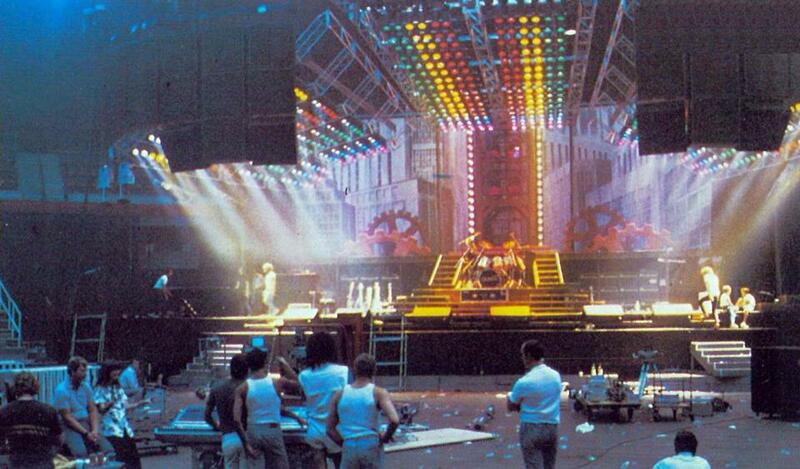 The overall setup mimics the movie Metropolis, from which scenes were used for the promo video of Radio Ga Ga last year. During vocal improvisations on this tour, Freddie would often include bits of "Foolin' Around" and "Living On My Own" from his pending first solo album, which he had been working on during this period. Freddie now plays a Telecaster for Crazy Little Thing Called Love. 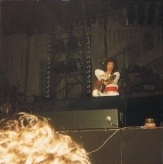 It would remain like this through the Magic tour. The band no longer bring a gong with them on the road. Roger now does a cymbal roll at the end of Bohemian Rhapsody. A fan recalls hearing the band running through Tear It Up whilst queuing up to enter the venue. 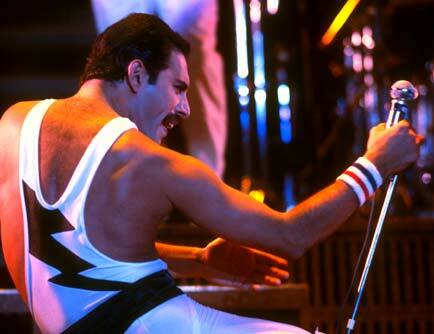 Freddie's voice is in superb shape for this show, but it will quickly weaken as the tour progresses. 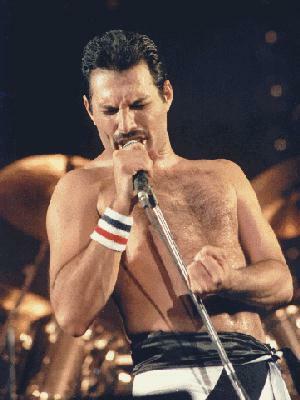 As incredible as Freddie Mercury was, he certainly did not take care of his voice at times, especially in the mid-80s. After a couple years of heavy smoking, Freddie's voice now sounds a lot deeper and raspier overall. 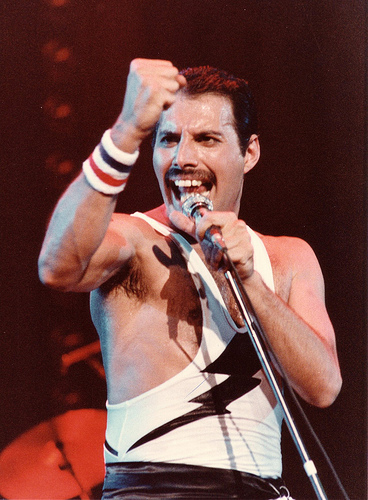 Before It's A Hard Life, Freddie says, "I think tonight we're gonna do songs from just about every album that we've ever made. You heard some very early stuff from the first album. Right now I think we're gonna do something very new, and we'll see what you think of it." Freddie does a vocal exchange with the audience before Staying Power, singing "Get Down Make Love" and "Gimme Some Lovin" a few times. The band would improvise bits of the latter a couple times in 1986. This is the only show on the entire Works tour where Roger plays regular acoustic drums on Another One Bites The Dust (before which Freddie teases the audience with a bit of Mustapha). For the rest of the tour, he'd play electronic drums. He'd also integrate the electronic drum kit into a few other songs, like at the beginning of Hammer To Fall, where one might argue that his sounds don't appropriately complement the guitar to create the intense, heavy sound. The band sound very tight on this opening night of the tour, with the only exception being the rough transition from Stone Cold Crazy to Great King Rat. 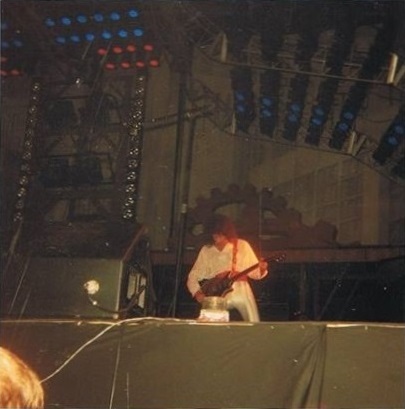 The keyboard and guitar solos are integrated together for the first few shows of the tour, during which Brian plays a few bits from Machines. 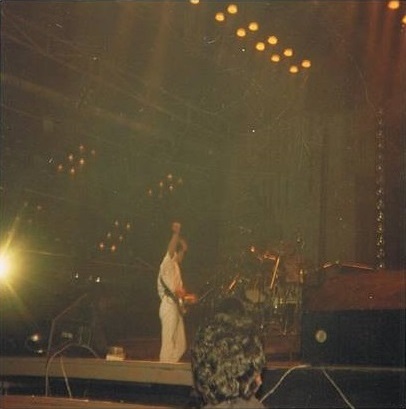 Spike Edney uses his vocoder (a Roland VP-330) for the "machines" and "back to humans" lines heard throughout the tour during this spot (he would use his vocoder for the "radio" lines in Radio Ga Ga as well). After this segment, Brian then gets a few minutes to play on his own as usual. 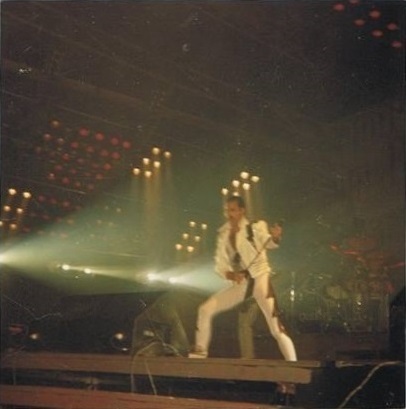 Parts of the promo video for Hammer To Fall were filmed during this show. Claims from some (even official) sources state that Freddie invited the audience back for (what would actually be "additional") filming the following day aren't true. Here is all that Freddie had to say before the song: "This next song we're gonna use in our next video. So everybody just go mad and maybe later you'll see one of you guys inside the video one day. Oh, just go crazy, take your clothes off. It's called Hammer To Fall." After the song, he simply says, "Good night, you guys!" as that was the last song of the set. 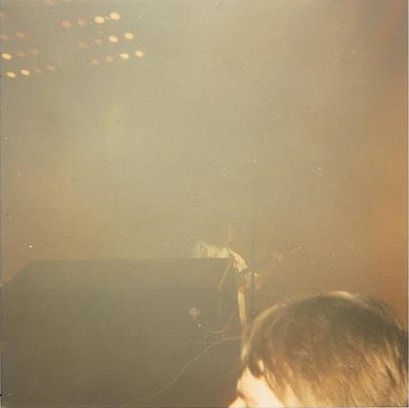 Here is a fan's recollection: "On the night of the gig, there was a camera mounted on an arm that would swing over the front rows of the audience during a few songs. 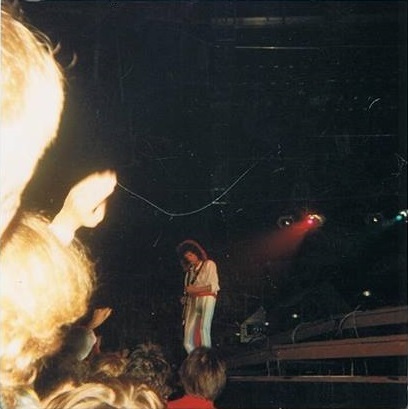 These audience shots were taken during Tie Your Mother Down, Radio Ga Ga, and Hammer To Fall itself. 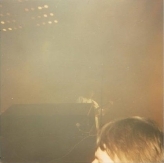 I guess they also had a camera up in the box at the back of the hall [as there are a few shots of both the audience and the band]. 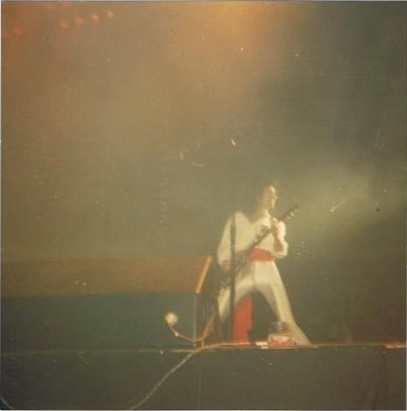 I don't remember any cameras onstage during the gig - just the one mounted on the arm." The Dutch fan club invited only about twenty of its members to attend the video shoot the next day. They were instructed by a roadie to sit quietly on a chair and not to move or approach the band members. After a few hours, Brian came over and had a chat with them, checking to see if they were enjoying themselves and if they were hungry. He then promptly ordered them some take-out! A minute of Tie Your Mother Down from this show was later broadcast on the Belgian TV station "RTBF" (the first picture above is a screenshot from it). An audience-shot video allegedly exists as well, containing five songs. After years of speculation, the existence of more footage from this show was proven when bits of it were included in the promo video for Let Me In Your Heart Again in 2014. 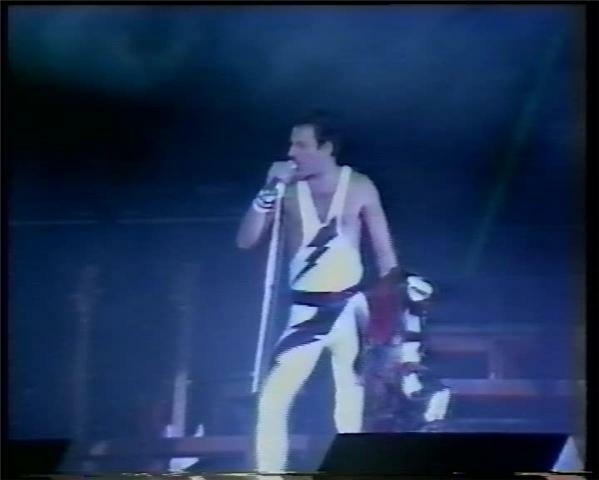 About 30 seconds of Somebody To Love (largely crowd shots) were seen. There is, however, no accompanying audio. 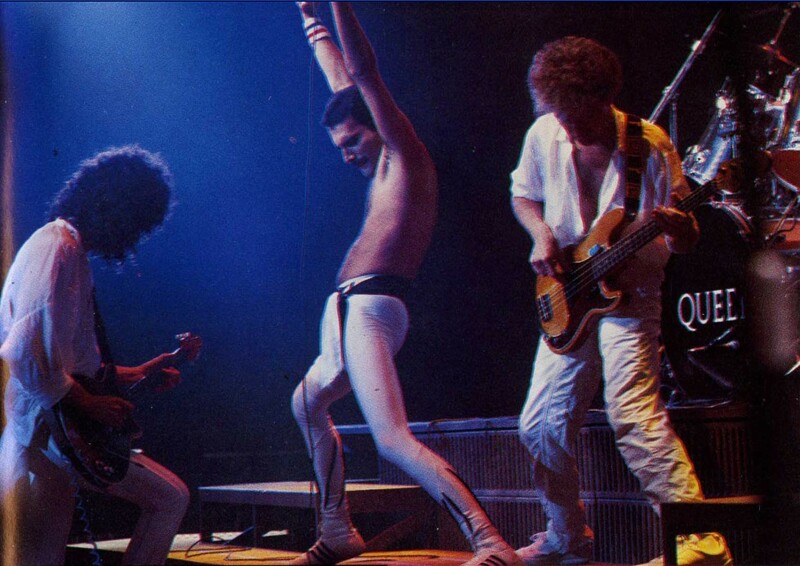 The first photo is from the autumn 1984 Queen fan club magazine. Brian is seen with a watchful eye over the proceedings. Tour manager Gerry Stickells and his wife are also in the shot. The first of nine photos from the audience was taken by Bas Asselbergs, pics 3 through 7 were submitted by Alessio Rizzitelli, and the eighth one was taken by Paul Coerten. 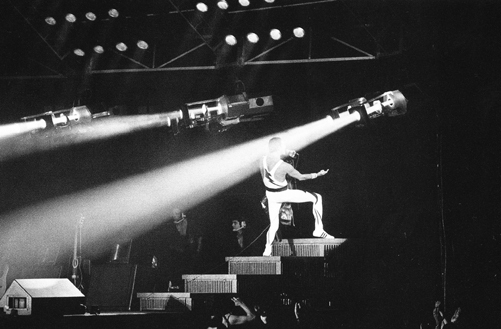 The ninth pic, along with the one taken at the Hammer To Fall video shoot on August 25, were taken by Dave Matkin. 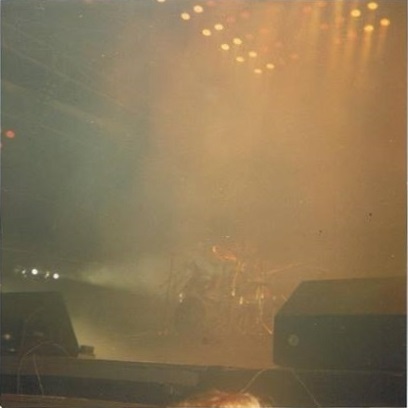 Three of the photos of Freddie, all from different photographers, were taken at about the exact same moment. The sound is much clearer than some of the previous versions of the tape, although there is a lot of tape hiss from a bad transfer somewhere down the line. This alternate source sounds better than the above source, but it's still a bit distant. A third source exists in average quality.